For both of us, fighting Rashad Evans is as equally impossible as fighting Jon Jones. We could not even begin to quantify the level of difficulty that would arise if you or I were locked in the cage with those two guys. It would be the equivalent of choosing to be mauled by a full-grown lion or a tyrannosaurus rex. There would be no scientific way to rate your pain, especially when your spleen is being siphoned through your torso and your ankles are being gnawed on like Chiclets. Of course the only person that can withstand such a vicious attack is Vitor Belfort since he’s a self-proclaimed shape-shifting t-rex while simultaneously being an ‘old lion.’ According to Vitor, he does all this through the power of Jesus — or perhaps it’s Cheez-Its — it’s really hard to tell through that thick Brazilian accent. I’ve never heard Daniel Cormier thank God in his post-fight interview. Perhaps he doesn’t feel obligated to give God a shout out since he’s not an egotistical psychopath. I just find it hard to believe that God would imbue magical abilities to a person in order to punch another person in the face while people are dying of poor sanitation in Sub-Saharan Africa. I don’t even know who’s to blame in this situation: God for not getting his priorities straight or the self-centered fighter that thanks God because they’ve lost all grasp on reality. Rashad Evans, he’s one of those post-fight ‘thank you God’ guys. So is Jon Jones. However they both clashed in 2012 at UFC 145 and it was clear that God is a bigger fan of Jon Jones than Rashad Evans — despite the amount of times Evans vied for God’s attention. By all MMA math standards, this dictates that Jon Jones is indeed a tougher fight than Rashad Evans. 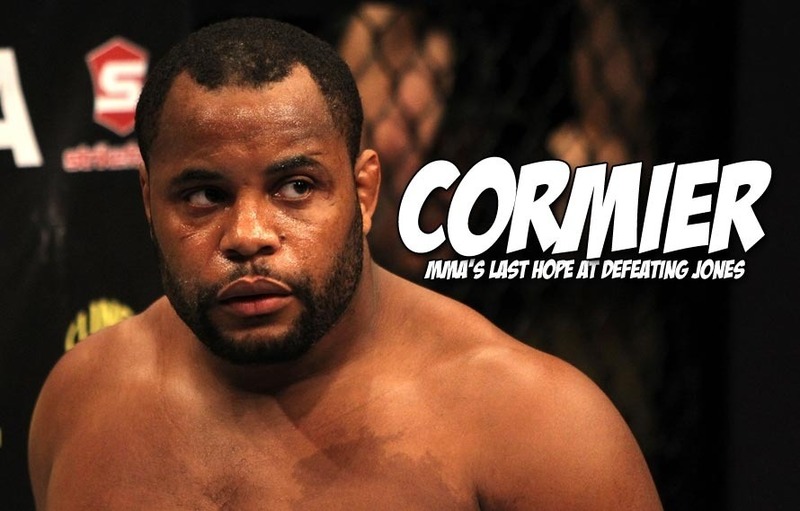 However according to Daniel Cormier in this MMAWeekly interview, that’s not entirely true.